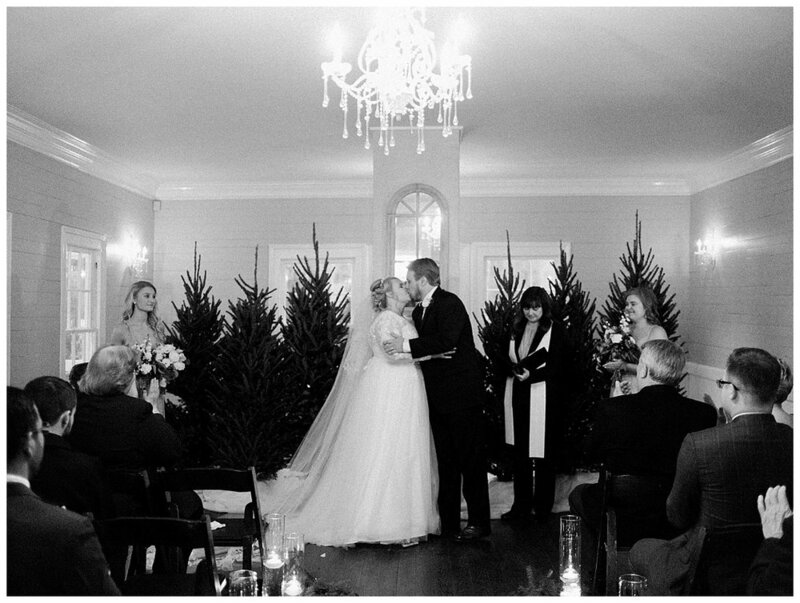 How fun is this winter inspired Mad Dash Wedding at the Leslie - Alford Mims House?! It was absolutely jaw - dropping. I mean let's be honest, there were even Christmas trees! With greenery and pops of white throughout, it made for a timelessly classic event. The smell of sweet pine and laughter filled the room as Dayna + Will danced the night away with their friends and family. We wish them both a lifetime of joy, laughter, and love! We cannot thank all of our couples enough for allowing us to be a part of your day. It is such a sweet time for us and we absolutely love it and YOU! If you're interested in booking your next wedding or event here we would love to meet you at the Leslie - Alford Mims House Open House this Wednesday from 4 - 7PM. We'll see you there!